Select Color: Brown Select Size: Select Size3032343638404244 This item is currently out of stock! Genuine One Piece Full Grain Leather Western Belt. 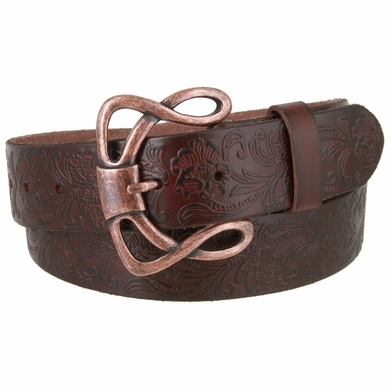 1-1/2" = 38mm wide Floral Embossed Leather Strap. Approx. Buckle Size: 2-7/16" x 3"